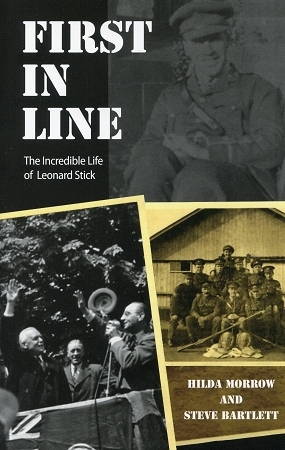 First in Line: The Incredible Life of Leonard Stick Documents the life of Leonard Stick, a distinguished war veteran, lawman and federal politician who was the first in many historically significant events throughout his lifetime. Stick was the first man to enlist with the Newfoundland Regiment, Regiment No.1, when it was reconstructed at the outbreak of World War 1. He was also a member of the First Five Hundred, also known as the Blue Puttees, and fought in the Battle of Beaumont Hamel. He was promoted to sergeant on September 21, 1914. Stick survived the war and became the first commanding officer of the Newfoundland Rangers. He then entered politics and found himself in Ottawa as one of the first Members of Parliament that Newfoundlanders elected after Confederation. Leonard Stick passed away on December 7, 1979 at age 87. His is a story of sacrifice and service.